KARACHI: Pakistan’s chemicals-to-energy conglomerate Engro Corp on Friday ruled out a possibility of renegotiating terms of its liquefied natural gas (LNG) terminal project prior to end of the contract's 15-year period. “Engro is under no contractual obligation to renegotiate the contract,” the company said in a statement after the petroleum minister Ghulam Sarwar Khan suggested reopening of the deal if any ‘irregularity’ is found. In 2013, the government, via Inter State Gas Systems, issued an open and competitive tender for development of an LNG terminal. Engro Elengy Terminal Private Limited (EETPL) won the bid for the project in accordance with the Public Procurement Rules 2004. LNG services agreement was approved by the Economic Coordination Committee and the Sui Southern Gas Company board, as well as by the cabinet, “in an auditable and transparent manner”. The terminal, which is a tolling facility enabling the government to procure and distribute LNG in the country, became operational from 28 March 2015, in only 335 days, and within the committed time line. Since then, the project has handled over 11 million tons of LNG, reducing Pakistan’s gas deficit by an estimated 20 to 25 percent. Engro said the country has saved more than one billion dollar since the start of the LNG project, replacing the import of more expensive furnace oil and diesel with LNG and not accounting for efficiency in terms of fuel. “The project has also revived the fertiliser and CNG (compressed natural gas) sectors, and 500+ industrial units by ensuring consistent supply of gas via LNG import,” it added. The country has two LNG terminals with a combined re-gasification capacity of 1.2 billion cubic feet per day. 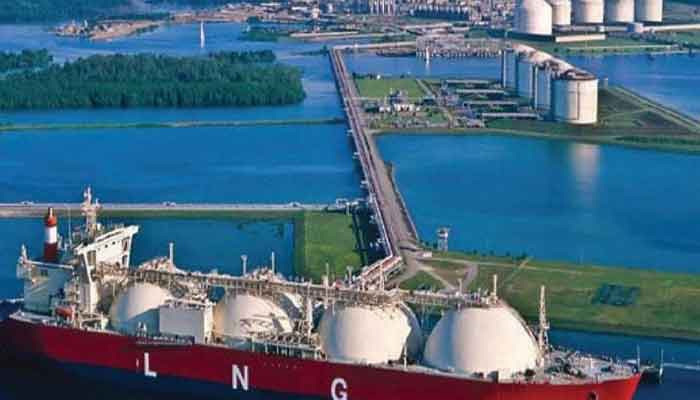 With a population of more than 200 million and economic growth of five percent plus, the country has a growing appetite for LNG imports, which are expected to climb fivefold to 30 million tons a year by 2022 from the existing seven million tons a year. Engro further said the company has always acted, and continues to act, “in a fair and transparent manner… as per our code of conduct and business ethics”. “Any information requested by regulatory/government agencies have also always been provided,” it added. The company said the project has been funded by loans from International Finance Corporation (IFC), Asian Development Bank, and local banks namely MCB, Askari Bank and Pak Brunei Investment Company after completion and commencement of the terminal’s operations. IFC is also a shareholder in the project. Engro said return of equity (ROE) is not the representative benchmark for analysing net returns to shareholders for such tariff based projects.